Let’s get one thing straight: you don’t have to care about colour. No one is going to judge you for wearing last season’s shade of russet as opposed to this season’s shade of smokey topaz (if they do, they deserve to be slapped a shade of 2015’s Marsala red). Beyond the obvious advice – go bright when it’s warm, dark when it’s not – if you stick to shades that suit your skin tone and which don’t clash, you’re golden. That said, a tweak to your usual colour wheel is the easiest way to light up dull outfits. “With any colour that sits outside the safe spectrum – black, navy, grey and white – it’s easiest to ground an outfit by keeping to one [colourful] piece in your look,” says River Island design manager Matt Braun. Not keen on wide-leg trousers? Think track tops and joggers should stay in the gym? Then let tone be the trick that refreshes your wardrobe. Here are the seven shades you need to know about this season. Metallics made noise for AW16, but this season it’s what doesn’t glitter that’s wardrobe gold. For AW17, both high-end and high-street designers have mined shades of copper and burnt orange for precious pieces, forging them into top-to-toe looks and statement outerwear. Pick either 1970s shade or 1970s style, never both. Copper, corduroy flares are best left in storage for fancy dress. Man fashion experts have described burnt orange as this season’s “new neutral”, which means it works well with winter’s default tones: black, navy, grey and white. Best applied to knitwear and outerwear, key your eyes peeled for anything made of wool especially, which gives the shade extra depth. Green is a winter perennial, and most men’s ‘other’ neutral when they tire of black and blue. This season’s spin takes root in an earthy shade that’s not too dissimilar to masculine military greens. Think surplus chic. 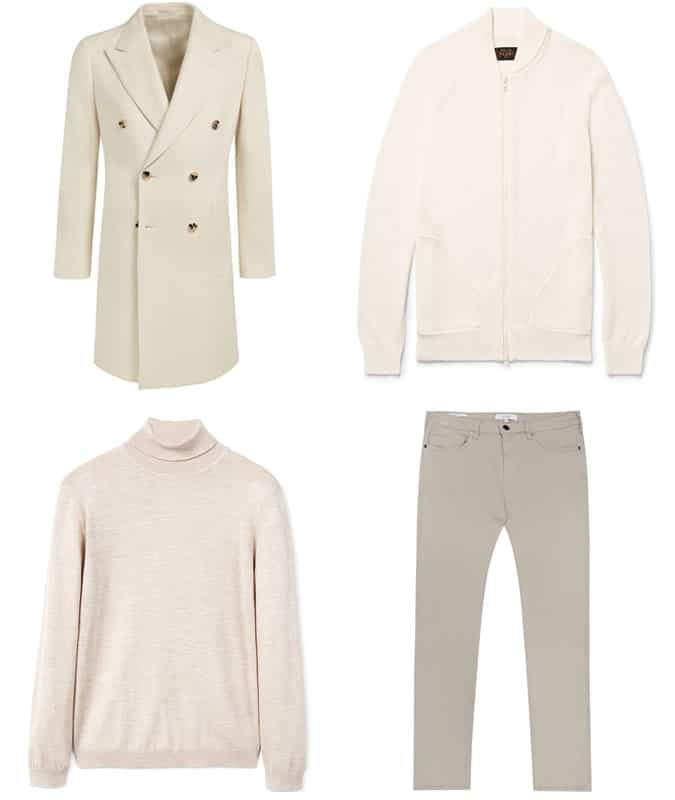 “Khaki trousers are a winning pairing with other muted shades of tan, grey and cream, while utility pants will work with chunky knitwear and clumpy Derby shoes,” says Hobbs. Likewise, a bag or overcoat in an earthy green tone will amp-up an otherwise monochrome look without channelling Action Man. As the cold creeps in, the drink pours in. Except it won’t (just) be in your wine glass. Menswear has been picking up notes of merlot, shiraz and burgundy for autumn, primarily because these warm tones pair happily with a range of other wearable colours. Everything in moderation, of course. “Wine tones should only be worn with navy or black, and perhaps a touch of grey to add a tonal look,” adds Ellis. Think staple black jeans and a chunky knit with a wine-coloured overcoat. Or spruce up your seasonal black tie look with a burgundy dinner jacket. Chin chin. Kanye may still be banging on about being locked out of fashion’s upper echelons on Twitter, but Yeezy’s usual washed-out palette – think beige, cream, off-white, stone and white (obviously) – was everywhere at the AW17 shows. So he’s doing something right. 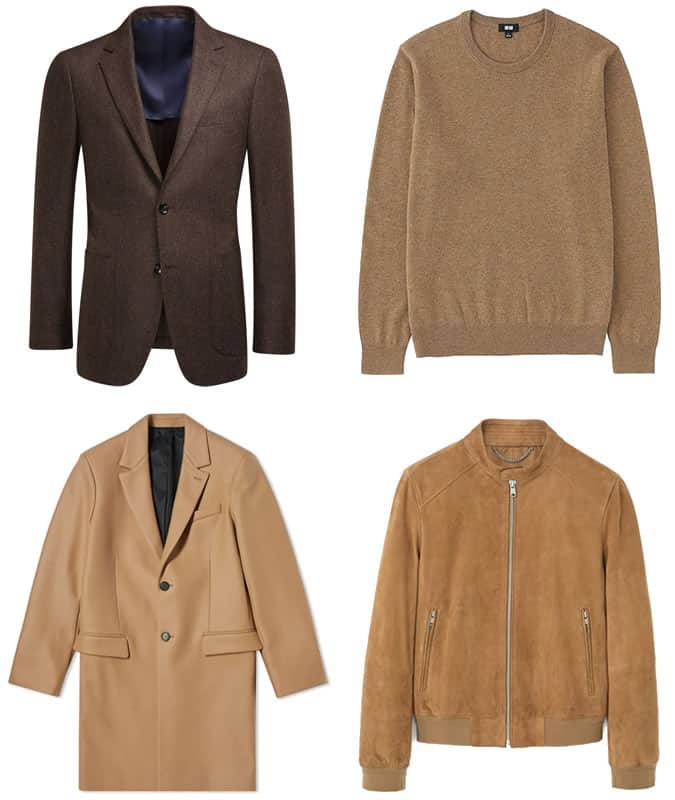 “These neutrals are a nice alternative for those not willing to go bright,” says River Island’s Braun. But still give you outfit a stark, standout quality. It’s equal parts street style and runway, which means it plays well on everything from hoodies, if you’re not colour confident, to suiting, should your self-assurance rival ‘Ye’s. Like the good condiment itself, think of mustard as a nice bit on the side in your wardrobe. The shade has seen a resurgence thanks to big designer and high-street hitters dipping into 1970s palettes and making them wearable in the 21st-century. “Mustard sits well with a whole host of colours,” says Ellis. And as a muted take on yellow, it serves to brighten the default darks of winter without looking out of season. While it’s not a primary colour, it’s strong enough that it’s best worn to lift an otherwise neutral outfit. “Consider indigo tones up-top when layered, or classic autumnal hues such as brown and earth shades below,” says Ellis. A sweatshirt or knit is the easiest way to incorporate mustard, but if you’re after something more traditional, go coastal. “The shade lends itself well to [wearing with] a peacoat and a pair of selvedge jeans – two menswear staples that boast a nautical vibe,” adds Ellis. Jewel tones are usually the beneficiary of party season’s disco fever, but this season they’re breaking out and appearing on everything from bomber jackets to staple knitwear. And since men feel the need to reflect grey skies in their looks, you don’t have to go all MC Hammer to make your shades stand out. Against a dark backdrop, these precious (s)tones shine. “Jewel tones marry perfectly with earthy hues,” says Braun. 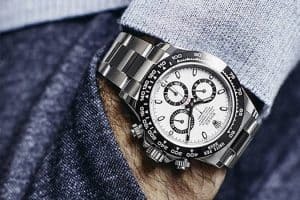 The shades are at the brighter end of winter’s spectrum, so if you’re colour shy, stick to the finer details: a belt, pocket square, or even the subordinate shade on a shirt. “The camel overcoat is [still around] for autumn/winter. Bring it to life with an emerald green or ruby sweatshirt layered over an Oxford shirt,” he adds. After years spent as a stuck-in-the-mud colour only used on shoes and belts, shades of brown are finally getting the airtime they deserve. Though it’s hardly the most vibrant entry on the colour wheel, it is one of the most versatile and even flattering. A full-brown look is challenging to pull off unless you’re a UPS driver. Creams, light greys and other neutrals are the safest partners, and it’s wise to try and upgrade the shade with some texture, too.